If you live or own a property in TX and are facing Foreclosure, please see below for the Foreclosure Process for Texas. When you develop a definite plan of action with well-timed, well-informed steps, you can stop the foreclosure process and save your home. We have outlined the foreclosure process for the state of Texas. The lender must mail a residential borrower a demand letter giving the borrower 20 days to come up with all the missed payments before proceeding with a foreclosure or sending the 21-day notice. Advertising: Texas does not require preliminary advertising of the foreclosure in a newspaper. Texas requires a foreclosure notice to be posted at the county courthouse door 21 days before foreclosure. Texas requires a foreclosure notice to be filed with the county clerk 21 days before foreclosure. A foreclosure notice must be mailed to the borrower at the last known address as shown in the records of the lender 21 days before foreclosure. The foreclosure sale must take place on the first Tuesday of any month, even if it is a holiday such as the Fourth of July or New Year's, but only after the proper preliminary notices have been given. The sale is on the courthouse steps by auction to the highest bidder for cash. 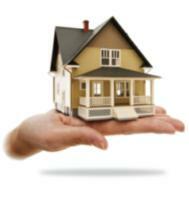 Lenders, however, can bid by canceling out the balance due on the note, or some part of it. There is no organization to the sales. The trustee named in the deed of trust simply shows up and calls out the property for sale. The trustee or a lender representative then bids for the lender. Investors must find the trustee in a noisy crowd to bid against the lender. The title is transferred by means of a trustee's deed. There is not right of redemption in Texas. Texas now limits deficiency judgments to the difference between fair market value and the balance owed on the loan, although the borrower may have to give evidence about the market value to be sure the deficiency is kept to a minimum. Texas is a very simple state in which to foreclose. Our home was recently sold for foreclosure, in Texas, and I do not know the timeframe of when we need to vacate the premises. I tried to contact the collection agency it got sold to but there is little response. It got sold on Feburary 2, 2011, and it is now Feburary 16. How long do we have until we need to leave? From what I understand, you must be legally evicted as you would if you were renting the premises. Check with your court house, the rules may vary from state to state. Also, you do not have to tell them who you are when you call. It's a basic question. Unless you are a renter, I would suggest you start packing. Typically the new owners will start knocking on the door a few weeks after sale. Some don't mess around and will force you out quickly while others may be a little more sensitive. Either way, don't delay the inevitable.